GREG WILPERT: It’s The Real News Network and I’m Greg Wilpert, joining you from Baltimore. In its effort to isolate Iran and to tear up the Iranian nuclear agreement, The United States set a November 4 deadline for all countries to stop purchasing Iranian oil. However, various countries are showing signs of defiance against the U.S. now. 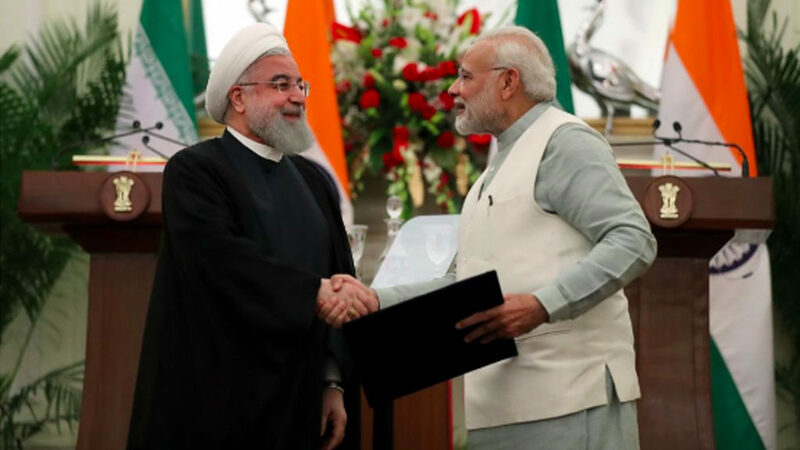 One of these is India, which recently announced an agreement to purchase Iranian oil after the November 4 deadline. On top of that, India also signed a 5.4 billion dollar agreement with Russia to buy five S-400 Triumf anti-aircraft defense systems. The Countering America’s Adversaries Through Sanctions Act, or CAATSA, which was signed into law last summer, listed banned Russian individuals and entities, many of which are related to the defense and intelligence sectors. The U.S. State Department called India’s violation of U.S. sanctions against Iran and Russia not helpful and implied that there would be specified consequences for India. Joining me now to make sense of the changing U.S.-Indian and U.S.-Russian relationship is Vijay Prashad. Vijay is Executive Director of Tricontinental Institute for Social Research and he’s also the author or editor of over a dozen other books. His most recent book is an edited volume called Strongmen: Putin / Erdogan / Duterte / Trump / Modi. It was just published by OR Books. Thanks for joining us today, Vijay. 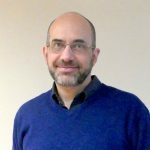 GREG WILPERT: So, what is going on now? Let’s focus on the U.S.-India relationship. Why is India openly defying the U.S. on sanctions against Russia and against Iran? VIJAY PRASHAD: Well, Greg, this issue is a pragmatic issue. I mean, India needs to import oil. India is an oil deficit country, an energy deficit country, and it has, over the course of the last 50 years, relied upon oil from the Gulf Arab states and from Iran. Iran, like Venezuela, produces, and Libya by the way, produces very high quality oil and therefore is really essential for not only India but China, Sri Lanka, many countries around the Indian Ocean and in the South China Sea which are able to bring oil in by oil tanker. So, India’s entire oil infrastructure is geared toward the kind of oil that comes out of Iran. It’s been very difficult for India during the entire sanctions period before the Iran deal, the nuclear deal in 2015, it was very hard for India. And in that earlier period, India and Iran had made an arrangement for India to buy oil from Iran and Iran to take payment in rupees. That agreement was enabled by alternative financial mechanisms. And I think this is precisely what the Indian government would like to return to, which is an alternative way to pay Iran for oil that it just cannot but import. I mean, there is no way for India to stop importing Iranian oil. The question has always been how India would be able to pay for it without incurring the heaviest penalty from the United States. GREG WILPERT: So, do you think that India’s defiance of U.S. sanctions would become a problem for India? I mean, what do you think will happen next with regard to the U.S.-India relationship? VIJAY PRASHAD: Well, the United States has an envoy for its Iran policy, Brian Hook. And Mr. Hook came to India recently, where he met the government and he said the United States is concerned. But of course, the United States understands that India has almost no alternative to Iranian oil. This is something that the U.S. government over the last couple of years, the last decade in fact, have had to come to terms with. I mean, there literally is no other way for India to maintain its energy supplies if it cuts off the Iran road. This is, of course, something that India shares with the Europeans, with the Sri Lankans, with the Chinese, with others. These countries have also made it very clear that they rely upon Iranian oil. It’s important to recognize, the United States cannot prevent Iran from selling oil. The only leverage the United States has is that this sale of oil cannot be done using the U.S. dollar as the transaction currency, and nor can this sale of oil have the payments go through networks that the United States controls. In other words, mechanisms to transfer money, which is why the Europeans, the Indians, the Chinese, even the Japanese have been discussing an alternative banking system to enable transactions for goods coming out of countries that the United States has decided to sanction. It’s important, I think, to underscore this. The U.S. government cannot stop trade itself. It can only sanction countries if they are using its mechanisms and its currency. And that’s precisely what the Indian government, I think, is in conversation with other governments to go around. GREG WILPERT: Well, this actually reminds me of the situation also with Venezuela, which recently announced that it will stop using the U.S. dollar to the largest extent it can and use other currencies, precisely because the U.S. has imposed financial sanctions on Venezuela. And of course, the other country that’s been very heavily affected by transactions and the usage of dollar that’s moving away is Russia. But what does this mean now for the U.S.? I mean, more and more allies of the United States, including the European Union, are looking for ways to get around these kinds of sanctions, as you mentioned. Doesn’t that mean that the U.S. is, in effect, actually isolating itself instead of Iran? 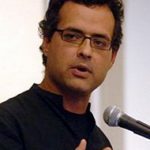 VIJAY PRASHAD: Well, I think if I was in the U.S. government, if I was in the Treasury Department, if I was in Wall Street, I would worry about this. It’s important to put this in context. About 39 percent of world transactions are done in dollars. The dollar is not a hundred percent controlling all transactions, about 30 odd percent is run through the Euro. So, 39 percent is a considerable amount of global transactions. And often, these are for some of the most important sectors such as oil, where the Saudis and others insist upon payments in dollars. Now, if the United States persists with the sanctions policy against Iran and if this leads countries … these are quite mainstream countries, not marginal countries, like Japan and the European Union, India, Russia, China. If these countries decide to create an alternative mechanism to transact international trade, to make payments, to run the payments through wire transfer system that goes around the SWIFT system based in Belgium, if this infrastructure is created by these other countries, I think this would put a great deal of pressure on the United States, which has relied on the global use of the dollar to run up major deficits, to print money inside the country. Because it knows that if it prints money inside the United States, it does not incur inflation because this currency is utilized globally. If the currency is utilized less on a global stage, U.S. deficits will not so easily be taken care of and inflation might rise inside the United States. So, this could end up being an own goal for the Trump administration or indeed any U.S. administration that pushes its own allies into creating an alternative banking system. GREG WILPERT: This actually brings me on another issue which might seem a bit of a tangent, but actually I think it’s very closely related, and that’s the U.S.-Saudi Arabia relationship. I mean, lots of people ask themselves, especially now with the recent murder of Jamal Khashoggi, why the United States continues to insist on this close relationship with Saudi Arabia. And I want to ask you, could it be perhaps also related to the petrodollar in the sense that, as you said, Saudi Arabia uses the petrodollar, insists on payments in dollars, and this would be one way of maintaining the dollar as a global currency? VIJAY PRASHAD: Well, I think the Saudis play such an essential role to the United States. I mean, it’s U.S. gas purchases, for instance, and gas purchases around the world that bring in the massive wealth to Saudi Arabia and its sovereign fund. This wealth is held in dollars. In other words, it enables the U.S. dollar to remain a global currency. And this wealth is also recycled into U.S. banks, into Wall Street, and not only by the Saudis holding their sovereign wealth fund in dollars, but also by the massive, obscene purchases of arms by Saudi Arabia, which are a kind of subsidy for the American arms industry. So, Saudi Arabia plays this dual or maybe triple role. On the one hand, it recycles U.S. dollars into Wall Street, liquefies Wall Street, enables Wall Street to produce a massive fictional economy with derivatives and so on. Secondly, Saudi Arabia buys an enormous amount of arms, subsidizes the U.S. arms industry. And third, by insisting on taking payments in dollars, it maintains, particularly with weaker countries, the hegemony of the dollar, when other countries are quite eager to seek a different way or perhaps even a combined way of dealing with international trade and their own value of their currency. Many countries would not like their currency to be measured only against the U.S. dollar, but against a bundle of currencies, maybe the euro, maybe the renminbi, maybe even some of the most stable currencies, such as the currencies of Oman and other Gulf countries which don’t seem to move very much. So, this utilization of Saudi Arabia as a kind of trigger to maintain the hegemony of the U.S. dollar is fundamental in the way things work around the world. GREG WILPERT: Well, we’re definitely going to come back to this topic I’m sure, but we’ll leave it there for now. I was speaking to Vijay Prashad, Executive Director of Tricontinental Institute for Social Research. Thanks again, Vijay, for having joined us today.